(CNN) - President Donald Trump's national security adviser, John Bolton, told a radio host Wednesday he believes the summit with Kim Jong Un will happen, despite recent threats from North Korea to withdraw. Bolton told Fox Radio's Brian Kilmeade that he spoke early Wednesday with his South Korean counterpart to tick through the possible reasons for the warnings issued by Pyongyang. On Wednesday, the President was briefed on additional statements from North Korea's disarmament negotiator rejecting the US call for immediate nuclear disarmament and going after Bolton himself. Bolton said the current odds are on the planned summit in Singapore happening but that the meeting could be short if Kim doesn't agree to denuclearization. "If they haven't made a strategic decision that they're safer without nuclear weapons, that, as President Trump said, it could be a pretty short meeting in Singapore," Bolton said. Earlier Wednesday, Trump told reporters during an Oval Office photo op that "we have to see" whether the summit will occur, adding, "We haven't seen anything, we haven't heard anything." Asked if Kim was bluffing, Trump said, "We'll see what happens." 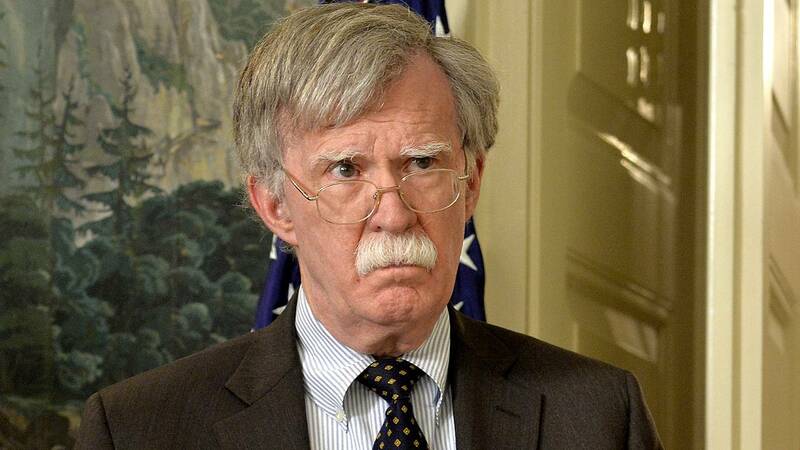 North Korea's official KCNA news agency has taken direct aim at Bolton and rejected his view that North Korea should follow Libya's model and unilaterally give up all its nuclear weapons. Bolton said being targeted in the North Korean statements was "nothing new." "I kind of get used to it. It's what the North Koreans do and it's, the question is whether this really is a sign that they're not taking our objective of denuclearization seriously," he said. "If they're walking back from it we'll find out." Bolton called the decision by North Korea to scrap meetings with South Korea "discouraging" and evidence of "old thinking." Separately, Bolton said the deputies committee of the National Security Council held a meeting on Wednesday morning to discuss the Chinese telecommunications company ZTE and was working to prepare options for Trump "as soon as we can." He also discussed leaks, saying he's "determined to cut them down." "I've been trying to take steps with the national security staff. It's something I work with John Kelly, the chief of staff, with a lot of other people. Look, the President has to have advisers around him who can have open, candid discussions and then not read about him the next day in the newspapers or watch them on television and to the extent that those conversations are being discussed in the public domain. It hurts the ability of the President to be fully informed to make his decision," he said.